After patriots tore down the statue of King George III in New York City on July 9, 1776, they melted parts of it down and made bullets to use against the British. It is impossible to know the exact number of American colonists who favored or opposed independence. For years it was widely believed that one third favored the Revolution, one third opposed it, and one third were undecided. This stems from an estimate made by John Adams in his personal writings in 1815. Historians have since concluded that Adams was referring to American attitudes toward the French Revolution, not ours. The current thought is that about 20 percent of the colonists were Loyalists — those whose remained loyal to England and King George. Another small group in terms of percentage were the dedicated patriots, for whom there was no alternative but independence. With so many Americans undecided, the war became in great measure a battle to win popular support. If the patriots could succeed in selling their ideas of revolution to the public, then popular support might follow and the British would be doomed. 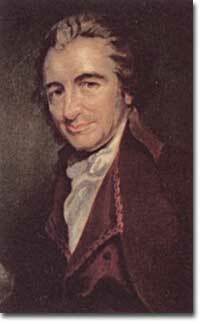 In "Common Sense," Thomas Paine argued for independence from Britain and the creation of a democratic republic. Its publication in January 1776 immediately added fuel to the patriots' cause. Even with military victory, it would have been impossible for the Crown to regain the allegiance of the people. Revolution would merely flare up at a later date. The British understood the need to attract American popular support for the parent country, as well. Some colonists who were not persuaded by the political struggle joined the British for personal gain or military glory. Some joined out of sheer loyalty to the Crown — they still believed themselves loyal British citizens. There were also many American farmers willing to sell their goods to the British for profit. In the long run, however, the patriots were much more successful attracting support. American patriots won the war of propaganda. Committees of Correspondence persuaded many fence-sitters to join the patriot cause. Writings such as Thomas Paine's "Common Sense" stirred newfound American nationalism. The Sun never shined on a cause of greater worth. 'Tis not the affair of a City, a County, a Province, or a Kingdom; but of a Continent — of at least one-eighth part of the habitable Globe. 'Tis not the concern of a day, a year, or an age; posterity are virtually involved in the contest, and will be more or less affected even to the end of time, by the proceedings now. Now is the seed-time of Continental union, faith and honour. The least fracture now will be like a name engraved with the point of a pin on the tender rind of a young oak; the wound would enlarge with the tree, and posterity read in it full grown characters. The American Revolution not only separated neighbors and friends, it devastated many families, including the Franklins. 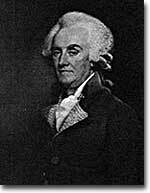 William Franklin, pictured here, a Loyalist, rarely, if ever, spoke to his Patriot father Ben after the war. 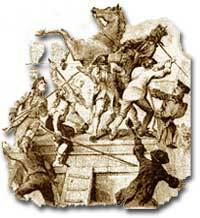 Patriots subjected Loyalists to public humiliation and violence. Many Loyalists found their property vandalized, looted, and burned. The patriots controlled public discourse. Woe to the citizen who publicly proclaimed sympathy to Britain. Families were sometimes divided over the revolution. Benjamin Franklin's son, William, a Loyalist governor of New Jersey, supported the British effort during the war. In the end, many Loyalists simply left America. About 80,000 of them fled to Canada or Britain during or just after the war. Because Loyalists were often wealthy, educated, older, and Anglican, the American social fabric was altered by their departure. American history brands them as traitors. But most were just trying to maintain the lifestyles to which they had become accustomed. After all, history is always written by the winners. Loyalists, too, had their eloquent writers. "Plain Truth" was written in response to Thomas Paine's "Common Sense." James Chalmers' blazing language chides Paine's revolutionary enthusiasm for being short sighted, pointing out in the end that "independence and slavery are synonymous terms." Read his scathing pamphlet. Betsy Ross, credited with sewing the first American flag, is one of the foremost female patriots. This site has a biography, a virtual tour of her house, directions for making a five-pointed star, and much more. Don't miss the American flag photo gallery or the timeline. 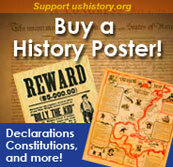 Take some time to enjoy this jam-packed website from ushistory.org. Clark. John Clark. It doesn't have the same ring to it as the name of the fictional British spy 007, but Major John Clark Jr. of Pennsylvania provided the Continental Army with top-secret, valuable information. Like many active Loyalists, Thomas Hutchinson incurred the wrath of patriots. Statements such as "It is better to submit to some abridgement of our rights [as Americans], than to break off our connection with our protector, England" often made him a target of violence. During the Stamp Act riots, Hutchinson's house was burned to the ground. This short PBS site tells his tale. Both during and after the American Revolution, many Loyalists left America to live in Canada. This website from the United Empire Loyalists' Association of Canada describes the Loyalists who left the American colonies during this period. What Samuel Adams began in Massachusetts with the Committees of Correspondence quickly spread to other colonies. This Archiving Early America website examines the development of this patriotic organization in Virginia and its role in the American Revolution. The author also notes the geographic distinction between patriot and Loyalist that came into play. James Chalmers and "Plain Truth"
Think Loyalist pride died when the Treaty of Paris was signed? Think again. This independent website is devoted to the Loyalist cause during the American Revolution and includes the history, military campaigns, and genealogy of American colonists who remained loyal to the British. Clicking on any category in the column on the left brings many subheadings with tons of information on that particular subject. Some interesting topics include spies, muster rolls, major figures, and music and poetry. Primary documents from many battles also offer a unique perspective on the American Revolution. Invisible text, letters that fit into a feather pen or a button, and coded messages — the American Revolution included more than minutemen and Hessians. Both armies used spies to gather information about battles and plans. There were the big names, such as Benedict Arnold, but there were many others, such as Ann Bates and John André. This University of Michigan website, Spy Letters of the American Revolution, provides a fun and detailed history of this intriguing aspect of the revolution. Stories, biographies, and spy methods are just the beginning. Spies used invisible ink for their secret messages. How does a spy read something that can't be seen?